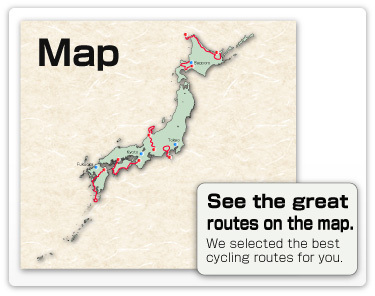 If you have come this far to view our website, you probably know already that Japan is a beautiful country to explore by bicycle. Outside big cities, the land is sparsely populated and with little traffic, but still offering good cycling infrastructure. There are numerous country backroads you never expect them to be there, and many of those are tarsealed and very comfortable to ride. A number of our customers told us that Japanese drivers are very courteous, and that their time in Japan exceeded their past experience overseas! The diversity of food, culture, history and natural environment within Japan is so interesting that these people could not help but return to Japan. 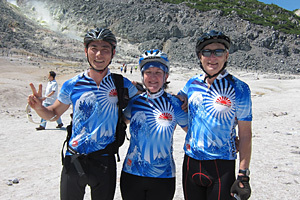 Cycling Japan jersey is in stock. This special jersey is designed and made in Japan. 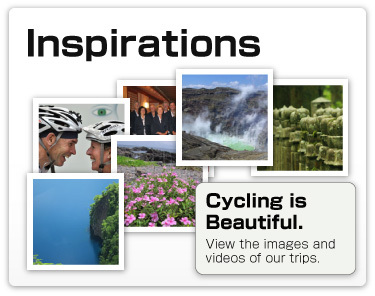 We are proud to introduce this to your wonderful cycling life.